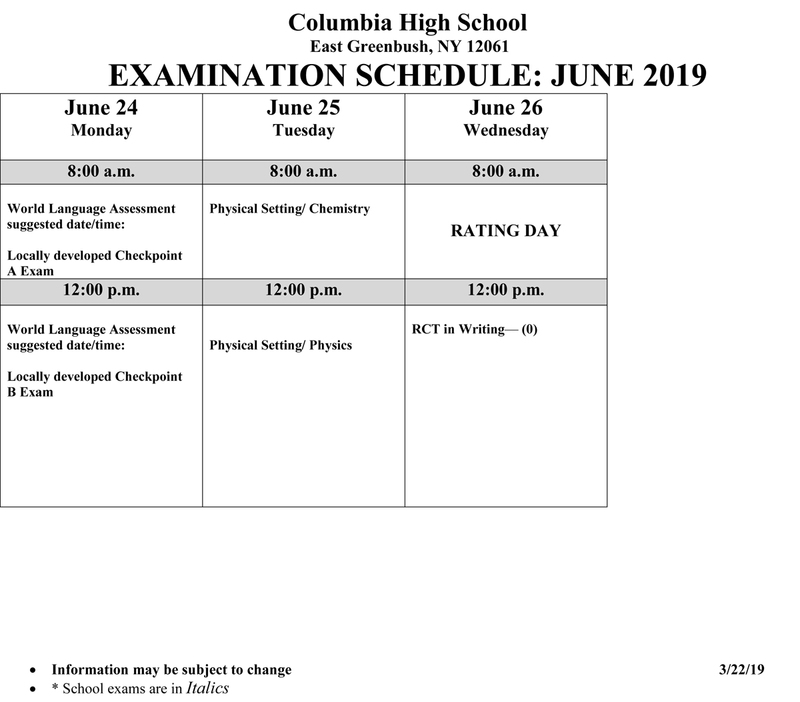 Columbia High School will not be administering the Global History transition exam on Monday, June 3, meaning school will be open that day for regular classes. 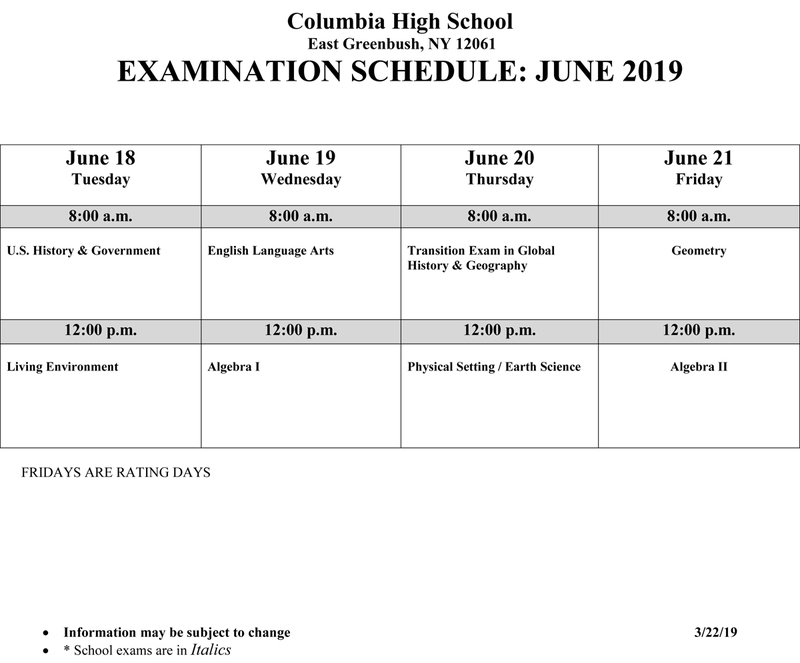 Regents Exams will be administered from June 18 through June 25. More information regarding exams, including review classes and special bus runs will be announced later this spring.